The best and prestigious Murano glass shops in the Venice islands. Where to purchase the original Murano glass. The creations of Alla Fiera dell'Est born from the ideas and the experience of Alice Dei Rossi, who treats the field of jewelery, manufacture of felt, masks, bags, and gift goods with love and dedication. Alla Fiera dell'Est, buy online: you can send your enquiry to "Alla Fiera dell'Est" by clicking on its name and visiting its own page. 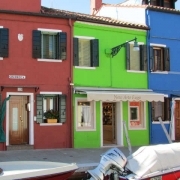 Realization of Burano's houses in ceramic or marble and resin mixture, hand-painted. Pastry and candies in Murano glass. Creazioni Zane, buy online: you can send your enquiry to "Creazioni Zane" by clicking on its name and visiting its own page. 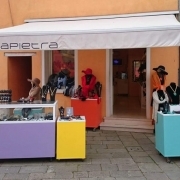 The workshop of Alessandro Tagliapietra, member of the Artistic Murano Glass brand, sells original products in the store located in Burano. Alessandro Tagliapietra, buy online: you can send your enquiry to "Alessandro Tagliapietra" by clicking on its name and visiting its own page. The original Murano glass, a little bit of fantasy and colors give you the garantee and the pleasure of wearing a jewel entirely handmade in this craftshop. 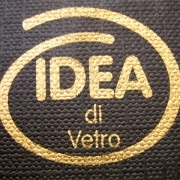 Idea di Vetro di Vagnati Valentina, buy online: you can send your enquiry to "Idea di Vetro di Vagnati Valentina" by clicking on its name and visiting its own page.